Matrix Animation designs custom training to increase learner engagement and comprehension. It is not enough to have just great content. We provide the complete package of great graphics, audio, animations, interaction, and video to speed up learning and to support multiple learning styles. We have unique capabilities in designing and developing training that include scenarios, immersive simulations, and real-life activities to aid in learner comprehension and retention. Matrix Animation seeks to create the most efficient, effective, and enjoyable learning experience with every project. We accomplish this by embedding e learning within a story and often using a blended approach. 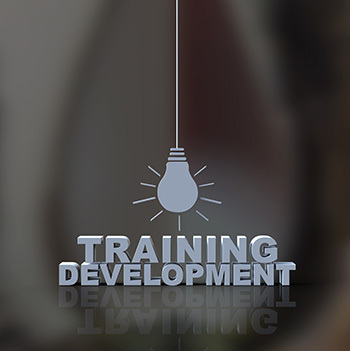 Our approach can include one or more of the following: mini-lessons, eLearning courses, interactive PDFs, facilitator guides, participant guides, videos, post-training activities, quick reference guides, and job aids for performance support. Our goal is to deliver high-quality, cost-effective training to your employees, students, and customers. We specialize in developing eLearning Instructional Design, Development, Video Training, and Consultation. Courses developed by Matrix Animation should run on all Learning Management System (LMS) on the market – your course will be delivered in a SCORM 1.2- or 2004, AICC or xAPI compliant package, ensuring smooth beta testing and success at go-live. Fast: We have the experienced staff, processes, and the tools to produce our products quickly. Our solutions take advantage of your company’s knowledge without impacting your company’s productivity. Cost Effective: We leverage our existing expertise, processes, and tools to quickly and efficiently develop the training. We rely on the subject matter expertise within your organization to make sure the content is technically correct. Quality Deliverables: We carefully analyze the expectations and clearly define the audience before we begin. Our quality assurance team reviews and tests the material using a tried and true process before all deliverables.